Built in 1801, this church on Mott Street has served congregations of different denominations and ethnicities as the neighborhood has evolved over the years. 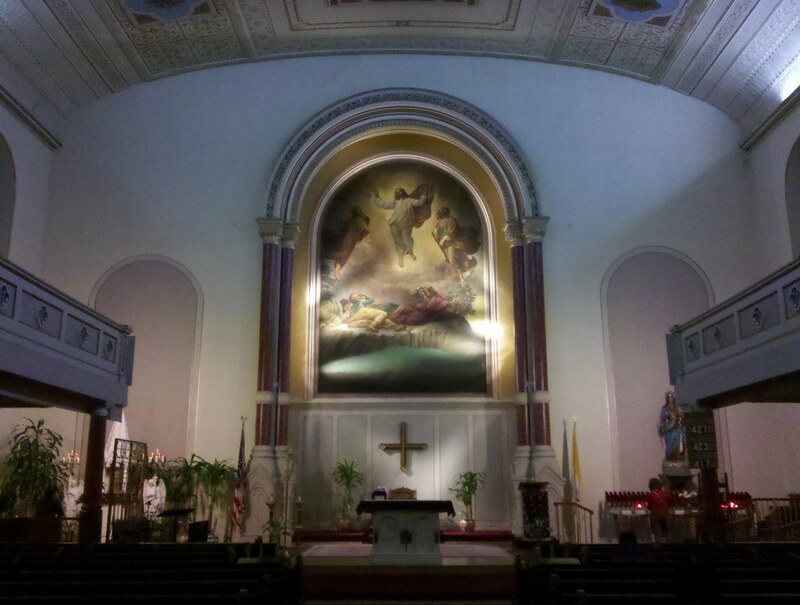 It's been a Roman Catholic church since 1853, and its congregation is now largely Chinese. True to its welcoming, multicultural heritage, it was open to the public today for rest and contemplation, and it was a perfect spot to pause for a few quiet minutes as the day drew to a close. Glad you found the perfect spot, it looks beautiful and peaceful.